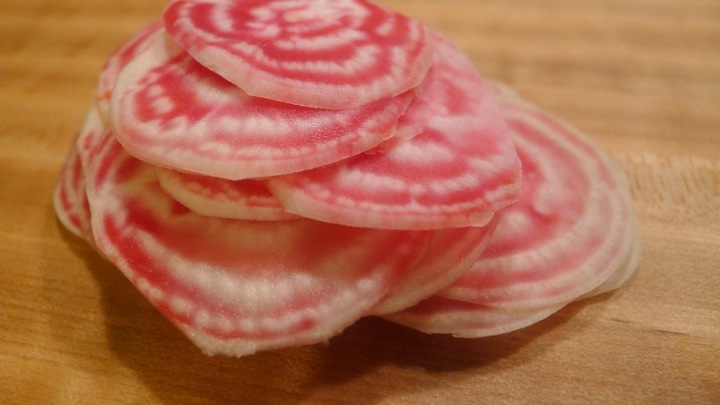 I normally roast beets when I eat them, but chioggia beet are just so beautiful when you slice them raw, that I wanted to make something a little more special with them to showcase the gorgeous colors and patterns they have. 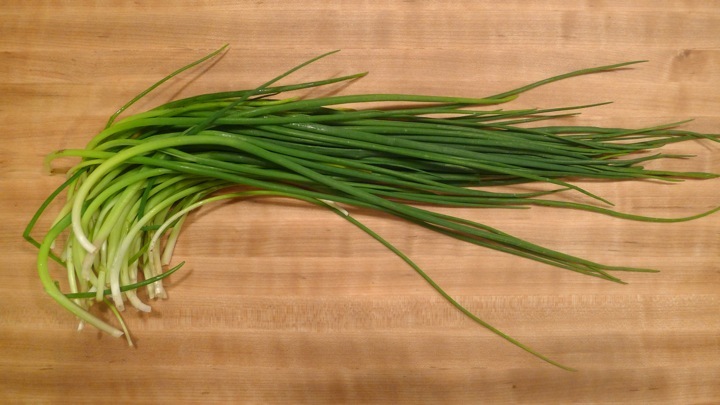 I decided to slice them very thin with my mandolin and make a vegetarian “carpaccio” with a tangy chive vinaigrette to go with it. It was delicious! 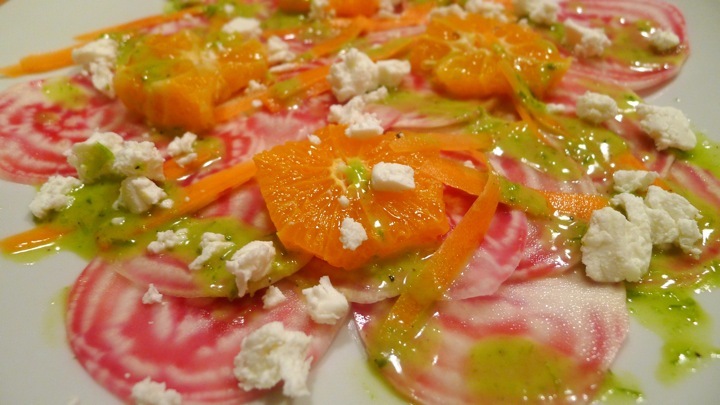 The sweet oranges, creamy goat cheese, and tangy dressing were great together. And the whole meal only took about 15 minutes! 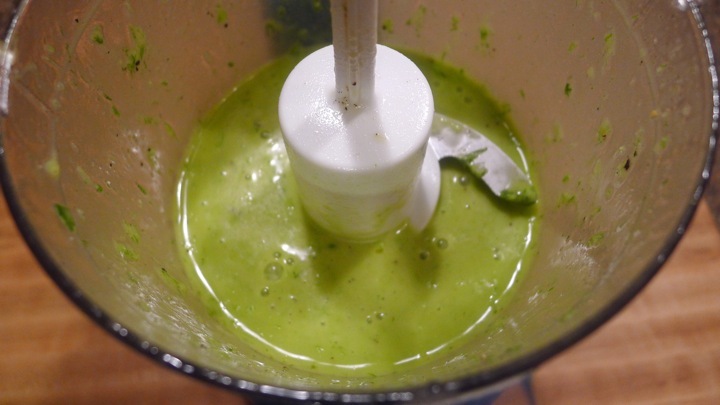 Start by making the vinaigrette. 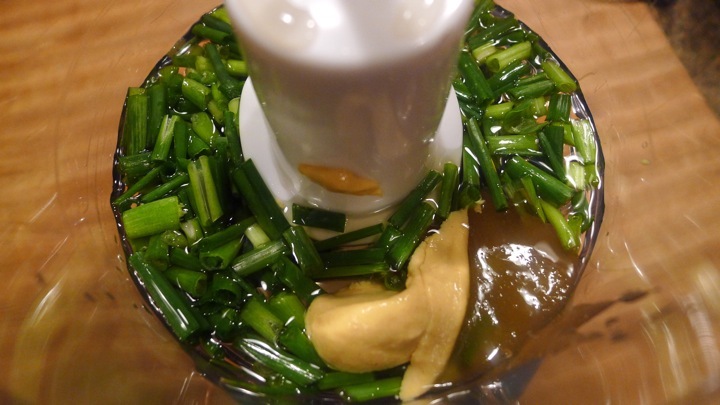 Add the chives, mustard, vinegar, honey, and pepper to a food processor and blend well. With the motor still running, slowly add in the olive oil. Set aside. 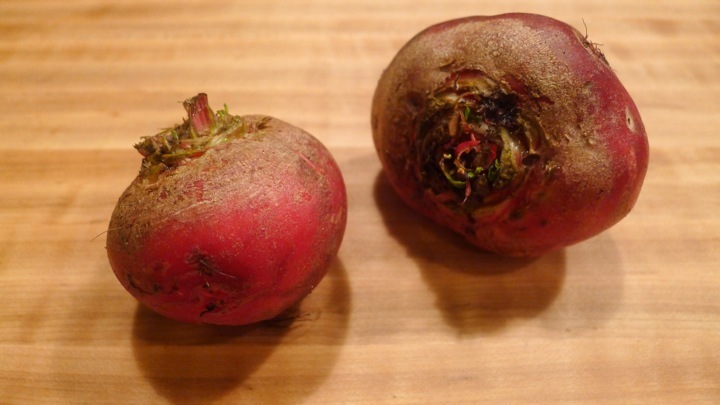 Next, thinly slice your beets, preferably with a mandolin if you have one. Place them on a plate slightly overlapping each other. Peel the oranges down to the flesh, (removing all of the white) and cut them crosswise into 1/4 inch slices. Add those to the plate as well as the shaved carrots. Drizzle with chive vinaigrette and top with rumbled goat cheese!